Select any of the Spanish Flashcard subject links below to access our varied selection of high quality, interesting and fun flashcards with pictures which provide a particularly useful teaching resource to help educate younger age groups; in particular babies, toddlers, pre-school, and kindergarten children. The beautiful, eye-catching pictures are accompanied by words from English and Spanish; therefore providing study cards for kids learning English or Spanish languages. This learning activity can form part of a school lesson as it provides an educational Spanish learning game for kids studying this language. The Spanish picture flashcards are available to print for free in two different sizes, large or small. It's easy to print a flashcard, just simply right click on the card and select print. Spanish Flashcards - What are flash cards? Study cards for children provide an easy way to learn very important words and vocabulary with an English to Spanish translation including different names of animals, sight words, how to describe various weather conditions, objects around the house, school and classroom. Words to describe and talk about items of clothing, body parts and food with carefully selected fun pictures and vocabulary to help maintain child interest, for example, words associated with Christmas and animals - things which kids find fun and amusing. There's also basic vocabulary note cards which are ideal for teaching babies, toddlers and young beginners the basics of this language. The bright pictures will capture their attention and help them to learn some basic words as the repetition of the flashcard will encourage them to remember the image and gradually begin to associate the picture and word together. Please feel free to print out our free sets of color and number Spanish flashcards with images as they can significantly help with your baby or child's response to learning. The letters, words, phrases and vocab are written in English to Spanish to English as the use of both languages provide an effective method for teaching or learning the translations from either language. Flashcards create a type of learning game which can make lessons fun and entertaining. Our selection of free printable Spanish Flashcards have been created specifically for educating kids. The use of high quality images with bright colors and interesting ideas make our study cards a successful teaching resource. There isn't a need to download flashcards as they can be printed out very easily. Click on the relevant subject above which will take you to small study cards which can be given to children to take home to study, or can be used in class lessons as part of a card game. To print the small study cards out, just simply right click on the card and select the print option. We are aware that teachers may require big flash cards to present to classroom students; therefore, we have created exactly the same cards with bigger pictures and words. If you would like to print a big flashcard, simply select the link below the appropriate card, hover over the picture, right click and press print. 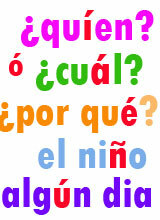 Printable Flashcards for Children and ideas for lesson planning and teaching languages. Fun flash cards for Kids which are free and easy to print. Basic study cards which provide learning activities for children. Free printable language flash cards for kids and teachers.